Angelo Leo vs Neil John Tabanao Results-Angelo Leo def. Neil Tabanao via UD (100-89, 100-90, 100-90). Leo Improves to 17-0, 8KOs. 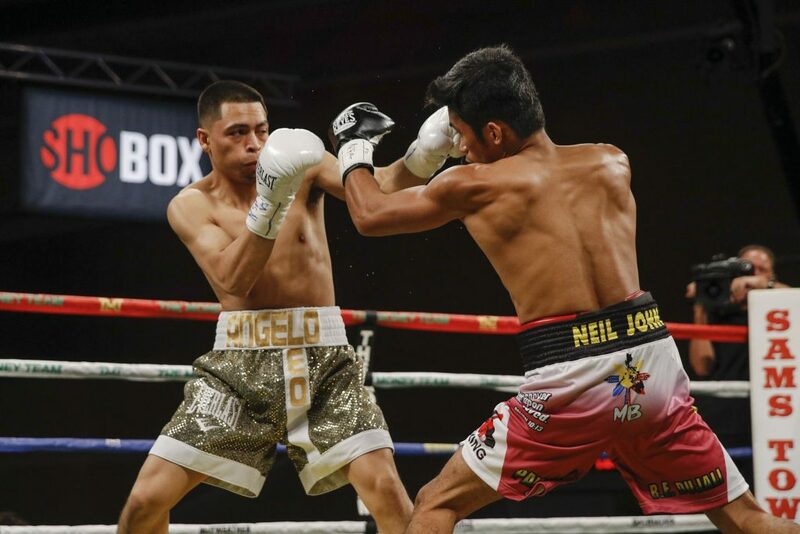 Martinez, a 21-year-old junior lightweight, ran his record to 14-0 (10 KOs) with a third round stoppage of the Filipino Moralde, who dropped to 21-3 (11 KOs). In the televised opener, Andres Cortes (11-0, 6 KOs) climbed off the canvas in round 4 to outpoint Jahmal Dyer (9-2, 5 KOs) over 8 rounds in a junior lightweight bout. Scores were 79-73, 78-73, 78-74.